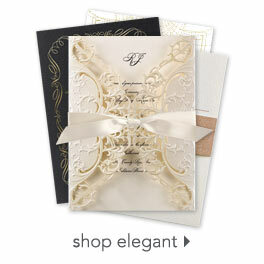 Thank you cards should be an extension of your wedding style, which means you’ll want to shop all the different designs available here at Invitations by Dawn. Whether you prefer the casual look of rustic motifs or the pretty appeal of vintage patterns, you’ll find lots of designs to choose from. Not to mention wedding guests will be more than happy to receive this simple reminder of just how beautiful the wedding celebration was.